A truly unique valentine from ZippityDooDah. 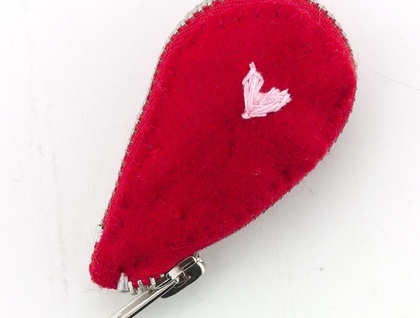 This little object de art unzips to reveal the beauty within. For me it is my heart." Frederick Peterson. 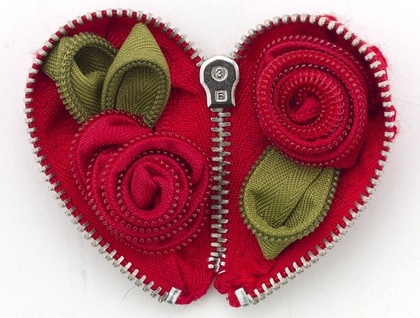 I have been thinking for weeks what would be the sweetest Zippitydoodah valentine, it had to be handmade and follow the philosophy of my zippitydoodah flowers, I was also thinking of word plays with "beautiful heart" and beauty on the inside, and here is the result. 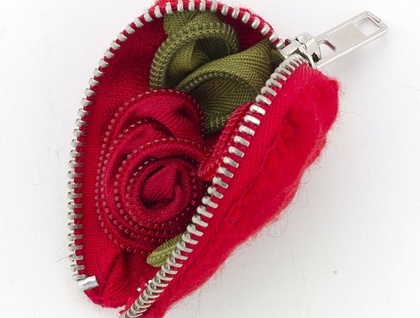 A teeny purse unzips to reveal itself as a beautiful heart filled with zippitydoodah red roses. You could even add a teeny folded personal message to surprise the recipient. I hope you like it as much as I do, you can keep it as a little object de art to remind you that beauty comes from within or if you prefer I can add a brooch pin so you can wear your heart on your sleeve or where-ever you like. Please specify if you would like a brooch pin added.